According to Wiki, they’re all correct. I prefer the latter. Anyway, a while back I received a package from My Little Cupcake. 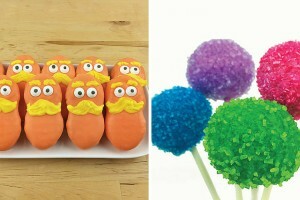 You may remember when I showed off one of the four molds with these Cupcake Cake Pops!? 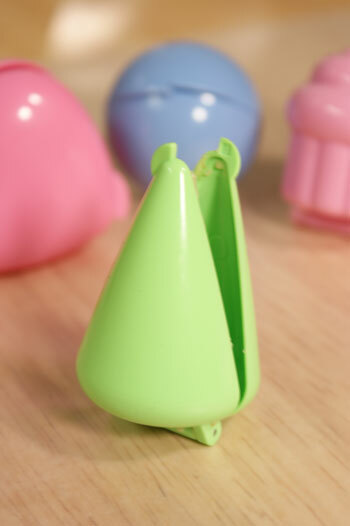 Just think of all the possibilities with this cone mold! Not to mention all their other varieties…plus, rumor has it they have a snowman mold!! I want! 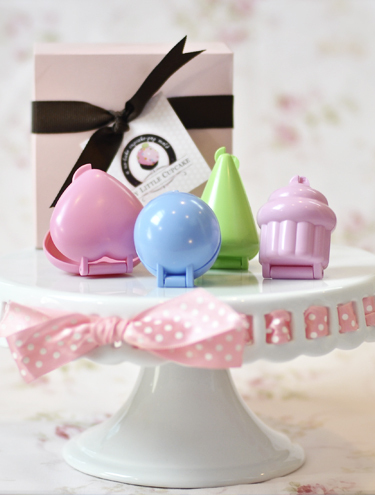 You can find more information on where to purchase the molds through the My Little Cupcake website here! The nice thing about these…well, a couple things. 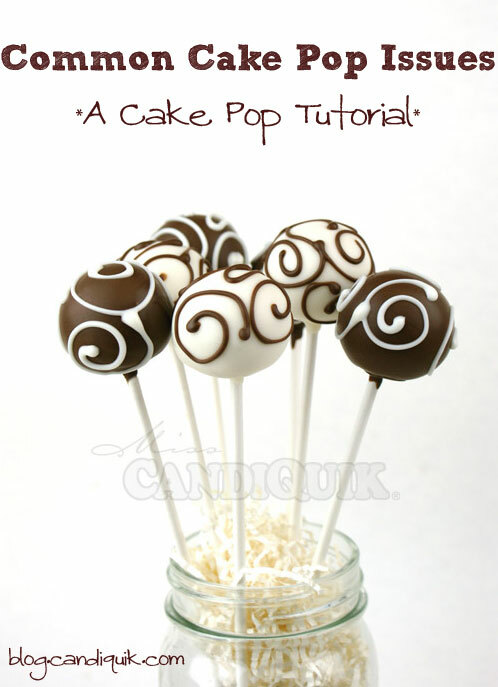 Two – uniform cake balls – same size/shape, every time! Trust me…this is a huge help. 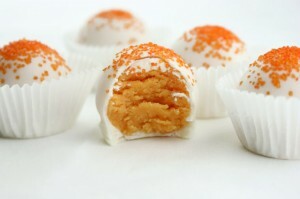 Grab a healthy handful of cake ball mixture and roughly form it into a nice big blob. This creates a smooth surface when being used with the mold. You want to stuff the mold plumb full so that you get a nice evenly shaped cake bite. Then squeeeeeze shut. You want to squeeze hard and completely shut so that all of the excess cake mixture is forced out of the mold. 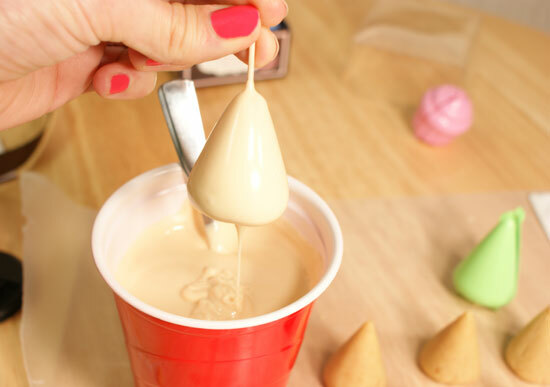 This ensures you aren’t left with a “rim” of excess cake around the cake pop. 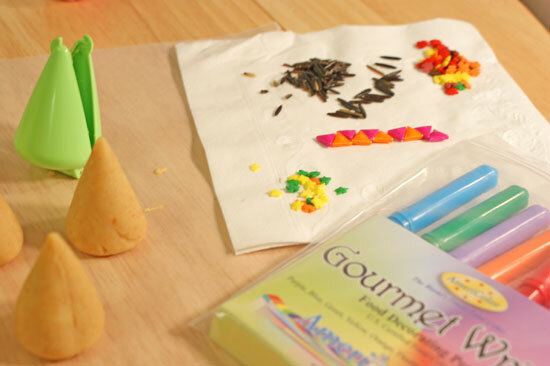 To decorate the teepees I used wild rice, triangle-shaped sprinkles, fall-colored leaves, and star shaped sprinkles. I added more detail with the edible markers. The only brand that I have found to write on candy coating has been Americolor’s Gourmet writers. I purchased mine on Amazon.com. I pinched a tiny amount of cake off the top, forming a slightly flat top, making it easier to press the wild rice on later. After you’ve melted the Vanilla Candiquik, stir in a tablespoon or so of creamy peanut butter. This gives it that light tan color. 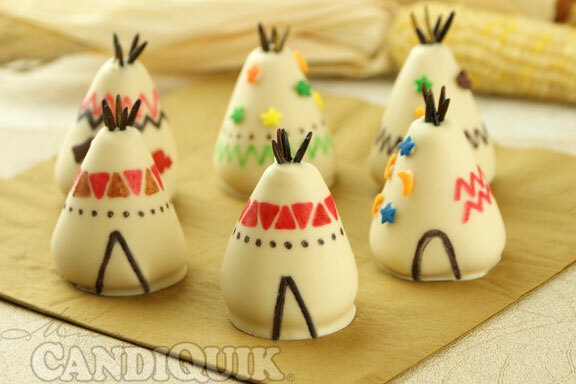 To dip the teepees…I poured my CandiQuik in a deep cup. A classy red solo cup works, too. Insert a toothpick (about halfway) into the top of the teepee. Quickly immerge in the CandiQuik and pull straight out, letting the excess coating drip off; place on wax or parchment paper to set. 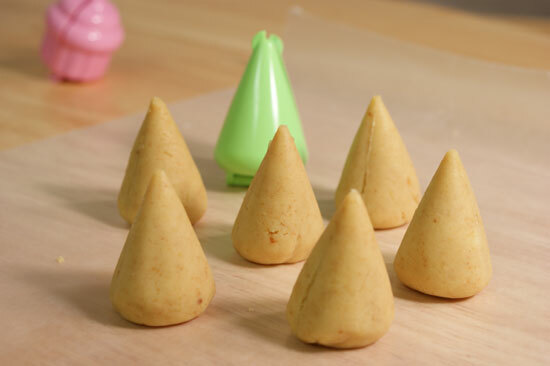 Press rice onto the top of the cake bites. Immediately decorate with assorted sprinkles. If the coating dries before you get all your sprinkles on (this totally happened to me), simply use a toothpick and a dab of CandiQuik to attach any remaining sprinkles. 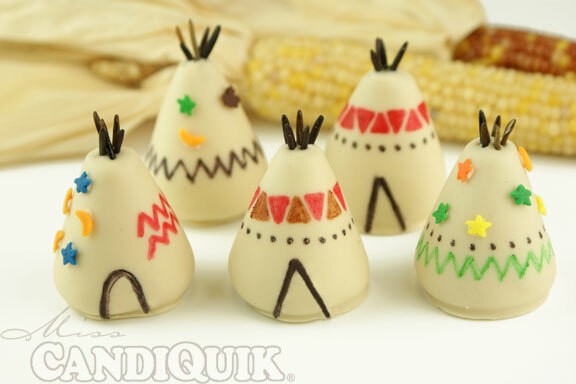 Once the coating has completely set, use the edible markers to add more designs. 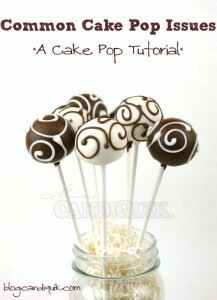 Also be sure to check out my Cake Pop Tutorial HERE! These. Are. BRILLIANT!! I love them SO much, Sarah. So adorable and so perfect for Thanksgiving!! 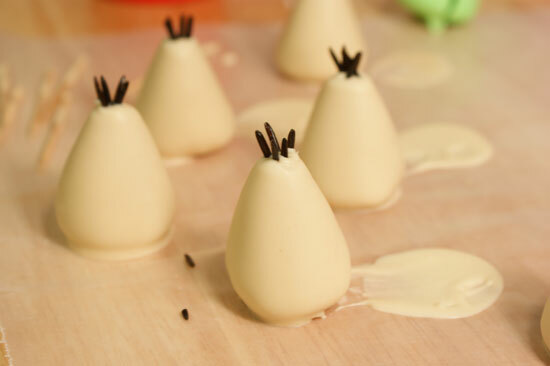 Now I have yet another use for my cone mold… I’m so excited to make these! Thanks Jocelyn! 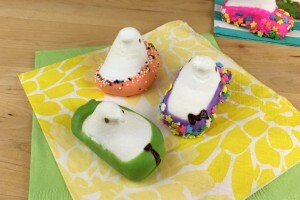 I want the snowman mold too – would save a lot of effort trying to shape them into perfect little snowmen. I just saw them on RecipeNewZ and it was love of first sight. They are just adorable!!!! You are so talented, Sarah! aww, thanks for the kind comment! 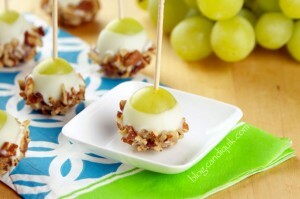 These are completely adorable! 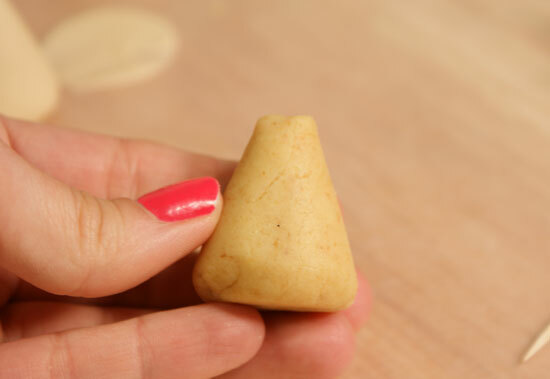 Nice idea for the cone mold, so fun! Thanks for sharing. Thanks Printabelle – love comments! 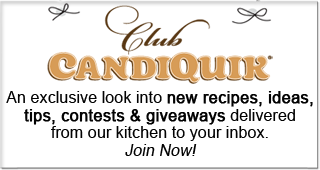 Could you please email me the exact recipe to make the teepee’s, I don’t understand how you make the dough. I thank you in advance. 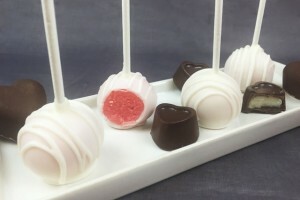 Hi Pauline, here is a link on how to make the basic cake ball recipe: http://candiquik.com/?recipe=cake-balls. Let me know if you have questions!